Part of the problem is that Telltale's games are released in piecemeal "seasons," and most players only have to spend around $5 to play the first episode. After that, many players will opt to buy the full season up front—usually for around $20 total—since that's a better deal than waiting and buying each episode separately. Thing is, it's usually in later episodes that the problems hit. 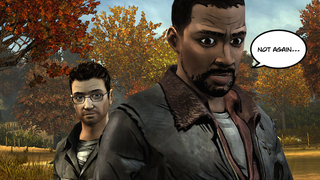 For their part, Telltale appears to have tasked one guy with responding to every user on the support forum. He goes by "Telltale Mike," and you could not pay me enough to do his job. "I sincerely apologize for the inconvenience," he writes at the start of most of his posts. I find myself wondering how many of his nearly 10,000 forum responses begin with those words.